Ngati Awa tourism business’ new boat, Te Puia Whakaari. 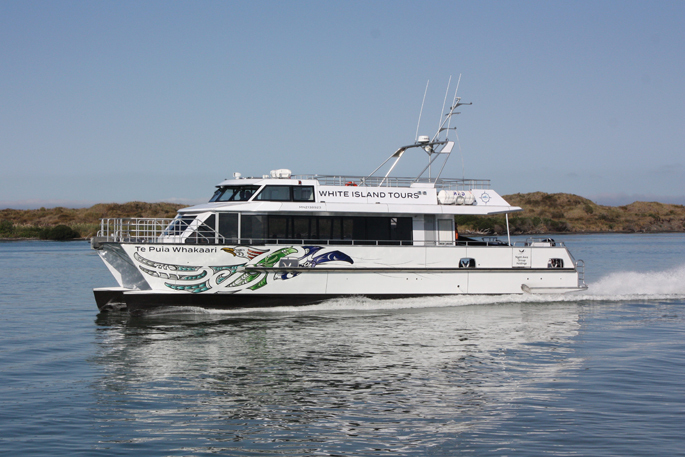 White Island Tours in the Bay of Plenty has welcome a new vessel. Te Puia Whakaari, a new boat for Ngāti Awa tourism business, is a purpose-built vessel that will service the business’s tours to Whakaari/White Island, New Zealand’s most active marine volcano. The addition of Te Puia Whakaari to the fleet reflects the continued growth and investment by Ngāti Awa Group Holdings Limited (NAGHL), the commercial arm of Te Rūnanga o Ngāti Awa. The long-term vision is to create prosperity and sustainable employment for Ngāti Awa members and the wider Whakatāne region. “Te Puia Whakaari represents another milestone in NAGHL’s commitment to ensuring that White Island Tours continues to enhance our product offering, supports the holistic wellbeing of Ngāti Awa, and grow our capacity as a world class iwi tourism venture,” says NAGHL Chair, Paul Quinn. Interlacing the past, present and future of the iwi, the boat’s artistic design features the work of two prominent Ngāti Awa artists, Lawrence Hohua and Takutaimoana Harawira, who were commissioned to develop a design concept for the new vessel that incorporated traditional Ngāti Awa kōrero (narratives) and artistic principles. The hull features two manu (birds), designed by Hohua to acknowledge Takeretou and Mumuhou; the avian guardians who guided Mataatua waka to Whakatāne. Whilst on the rear upper deck, Harawira’s design pays homage to Te Tahi o Te Rangi, a powerful and revered tohunga of Ngāti Awa. 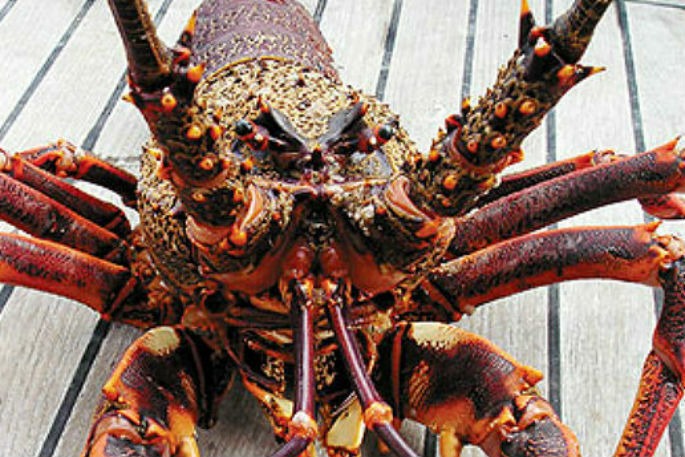 Being located 49 kilometres offshore from Whakatāne, Whakaari/White Island presents some unique challenges as a tourism operation. Te Puia Whakaari, a bespoke hydro foiling 19 metre catamaran, will allow White Island Tours to reduce cancellations due to unsuitable sea conditions. Designed by Teknicraft in Auckland and constructed by Q-West in Whanganui, the new boat offers comfortable indoor seating for 49 passengers, an expansive upper-viewing deck, state of the art stabilisation technology and a cruising speed of 27-30 knots. White Island Tours General Manager Patrick O’Sullivan says staff were extremely excited about the new addition. “Not only is this a beautiful boat, but by incorporating hydrofoil and stabilisation technologies, we look forward to showcasing this spectacular geothermal wonderland to an even more diverse audience by making the journey to Whakaari/White Island more comfortable”. An official welcome for Te Puia Whakaari is scheduled for Wednesday, 10 April 2019 at Te Manuka Tūtahi, Whakatāne. White Island Tours was acquired by Ngāti Awa Group Holdings in 2017. The company operates daily tours to Whakaari/White Island, New Zealand’s most active volcano, and Moutohorā, a pest-free wildlife sanctuary. Sitting alongside their tour operation is White Island Rendezvous, a 39-room motel, and on-site café, White Island Café.